French startup Blade is entering American shores to challenge Nvidia's GeForce Now. In a normal year, Blade’s Shadow cloud-gaming service might seem superfluous: Do you really need to stream games to your PC as components quickly drop in price? But that was before today’s cryptocurrency miners began snapping up GPUs left and right. Now, the Shadow service is something of an option for leasing a pricey GPU, rather than buying one. In our hands-on time with the service, it works acceptably—though a bit of lag, bugs, and an obtuse setup process muddy the experience. The Shadow service takes a page from its spiritual ancestor, OnLive, the cloud-gaming service that disappeared in 2012, was reborn in 2014, and then sold to Sony. Blade provides a powerful virtual PC, currently housed at or near the company’s Palo Alto, Calif. headquarters. You, the user, are asked to pay $49.95 per month ($34.95 per month if you sign up for a year) to use it—and for now, it’s limited to Californians. To get started, you’ll need to install your own games on the Shadow service, via your own Steam account. (This is the same deal with Nvidia’s GeForce Now, Blade's rival, though still in beta.) The games themselves are processed by Blade’s server and streamed, like video, down to the client: a PC, a tablet, even a phone. There’s also an optional console-like device that Shadow will sell that we haven't tested yet. Unlike a PC or a console, every input you make—a mouse move or click, or a key press—has to travel up through your router to the Blade server to be processed. This naturally introduces a bit of lag, which raises the key question: Is the lag perceptible? As with so many things, the answer is: It depends. What you’ll see when you first launch the Shadow app for Windows. Like Nvidia’s GeForce Now (but unlike OnLive), what Blade is providing access to is a “real” PC, with all the challenges and benefits a PC provides. Unfortunately, Blade needs to smooth the out-of-box experience a bit. Blade supplied me with access to the Shadow service, as well as the optional console hardware. Turning it on required the company sending me a username, setup instructions (in French) as well as a more involved reviewer’s guide (in English). After I selected a password, Blade smartly sent me a confirmation code to ensure my identity. The Shadow options include the ability to dial up more bandwidth. To access Shadow, you’ll need to download an app for Windows, Mac, iOS, or Android. Shadow also advises that you have at least a 30Mbps downstream connection, and an ethernet cable. I was able to stream Shadow over my home Wi-Fi to an Android phone, but the games weren’t really playable. Instead, I used a Microsoft Surface Pro (2017) tablet and an aging Lenovo ThinkPad. 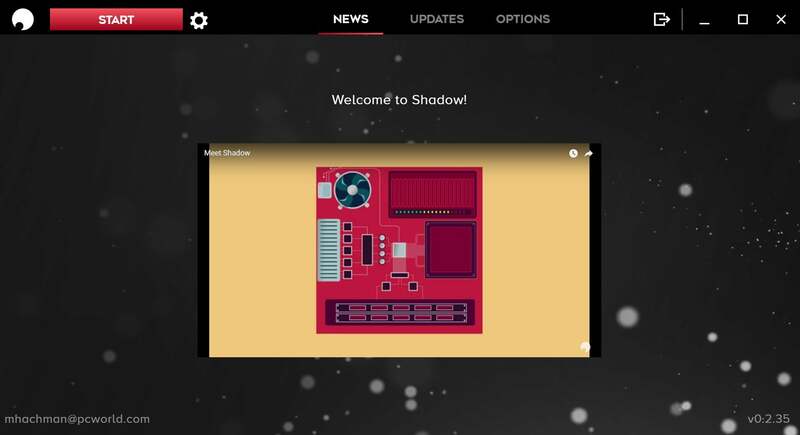 When you first launch the Shadow Windows app, you’ll see a small window with an introductory video, as well as various menus including Settings and Options screens. 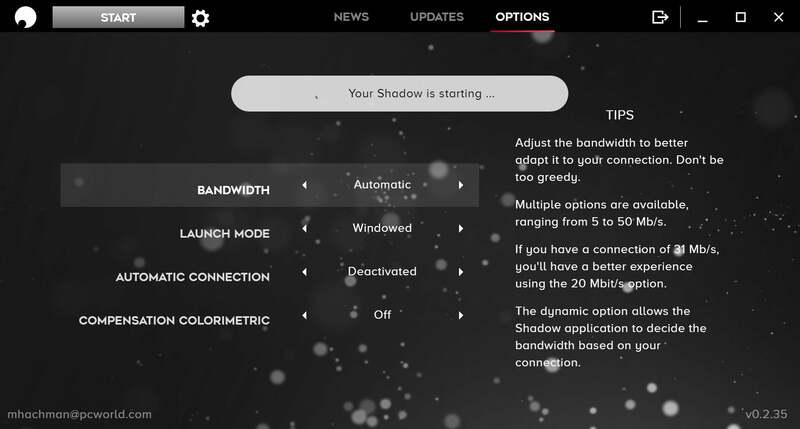 Within the latter, you’ll have the option to configure your available bandwidth manually, or let Shadow do it for you. (I seemed to have better luck selecting my own bandwidth constraints; the options available ranged from 5 Mbps up through 50 Mbps.) There’s also a warning “not to be too greedy” as far as bandwidth goes. Okay. Clicking the Start button at the top left-hand corner of the screen began my Shadow experience—in rich, immersive 640x480 resolution. Huh? 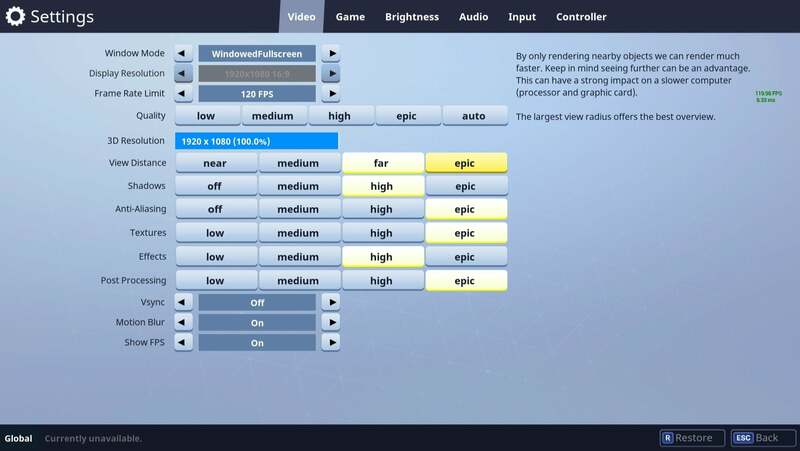 Unfortunately, Shadow’s review guide spent considerable time detailing how to optimize the experience—ensuring frame rates weren’t too high to preserve bandwidth, advising against mics for in-game chat, and so on—and didn’t do a great job of letting users know what they might see when they first launched the service. Shadow’s Blade service looks and feels like a virtual PC, without restrictions. Well, there’s some: cryptocurrency mining will get you instantly banned. 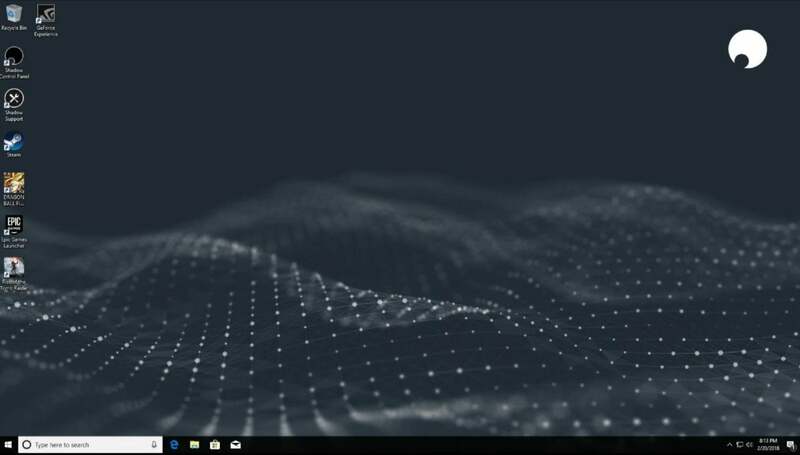 For a few minutes I muddled around my virtual Windows desktop, which looked like an ordinary Windows desktop, complete with Settings, the usual Windows crapware (if you’d like to play Candy Crush, you can), a browser, and more. (To exit the Shadow app, you shut down Windows.) I eventually used Edge to download Nvidia’s GeForce Experience software, no picnic within seemingly ordinary windows that inexplicably wouldn’t scroll. I got lucky, though, and managed to click on installation buttons I could barely see. Once the Nvidia software installed, Shadow worked like a charm—well, generally. Every time I booted into a Shadow virtual machine, the service would kick me out once or twice within the first few seconds before settling down. 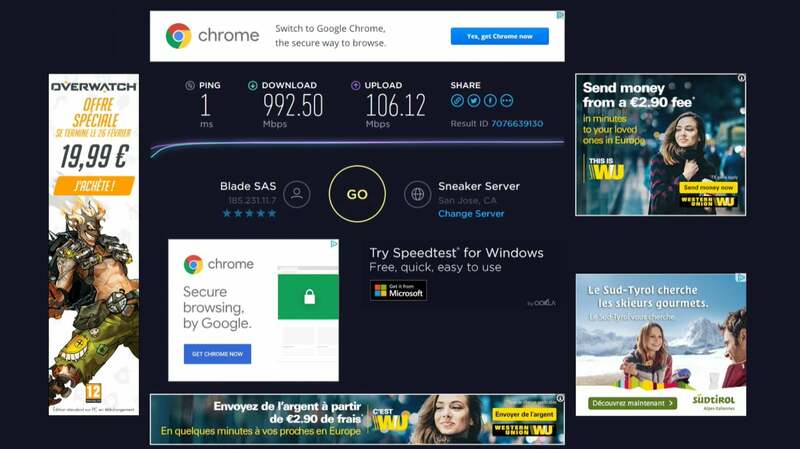 Since Shadow’s virtual PC includes a Web connection, you can check out how fast Blade’s bandwidth is. Interestingly, all the ads are in French, and Blade is a French company. So what did I do wrong? Well, the correct way to solve my issue, according to Shadow, would have been to go into the Device Manager and manually enable the Nvidia GPU, which most users probably wouldn’t even think to do. The company also recommended using its Discord channel for support purposes. Again, normal people don’t do this. Here’s the answer you’re seeking: Yes, the Blade cloud gaming service provides acceptable, stable gameplay, even in high-intensity online shooters. And it should, though the hardware isn’t quite cutting-edge. The specs include a 2.1GHz Intel Xeon E5-2620 v4 (Broadwell), 12GB of memory, and an Nvidia Quadro P5000. Blade made about 20GB or so of storage available for use. Though you’re free to install whatever software you’d like within your Blade environment, I chose to remain within the suite of demo apps Shadow gave me access to: Rise of the Tomb Raider, a third-person action game; Dragon Ball Fighter Z, a traditional 2D fighting game; and a collection from Epic Games, including Fortnite, an online battle royale shooter. Those three represent a fairly decent cross-section of games today, minus a first-person shooter like the new DOOM. 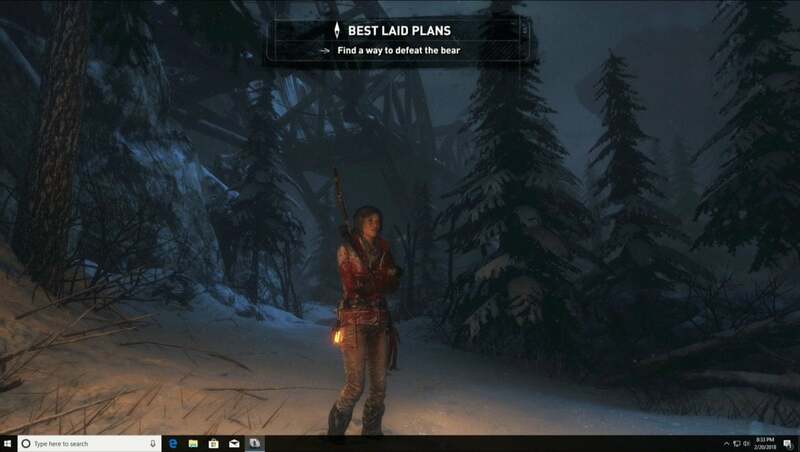 Rise of the Tomb Raider was perfectly playable using the Blade Shadow cloud gaming service. Quantifying gameplay is difficult to do, as it’s so dependent (in this case) on your particular networking setup and distance from the Shadow server. As someone who lives on the outskirts of the Bay Area and pays through the nose for Comcast’s Xfinity cable service, I do have a stable, low-latency connection. Though it’s generally slower-paced, Rise of the Tomb Raider does feature sequences that require deft, timely reactions. Having played through the original Tomb Raider game, I found I died far more the second time around, though I was playing with a mouse and keyboard, rather than a controller. Nevertheless, the controls felt sharp and responsive. 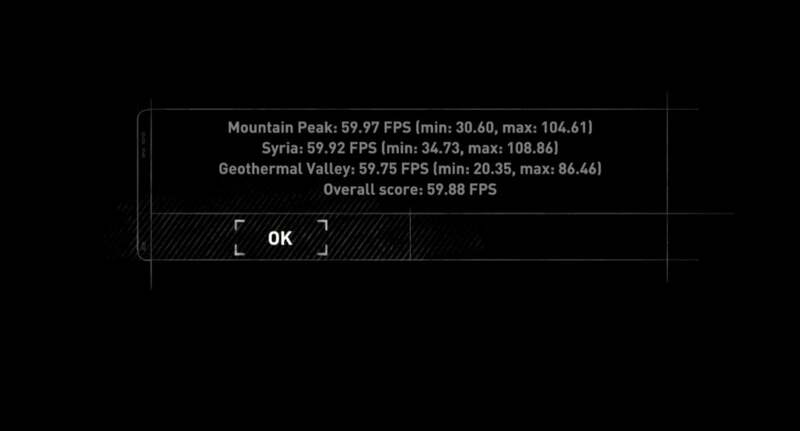 A benchmark captured within Rise of the Tomb Raider shows very good performance. Fortnite, an online battle royale shooter that features crisp, tight gameplay, felt equally responsive.Though I tend to play its rival, Player Unknown: Battlegrounds, more than the cartoony Fortnite, I still felt like my ineptitude was due more to my lack of skill than my controller. It was the Dragon Ball game, though, where I felt the Shadow’s reactions might be a tad slow. Though I played a beta of the game on the Xbox One, the inputs seemed a bit sharper on the console than on the PC. The game was certainly playable, but my guess is that the Shadow was holding me back a bit. 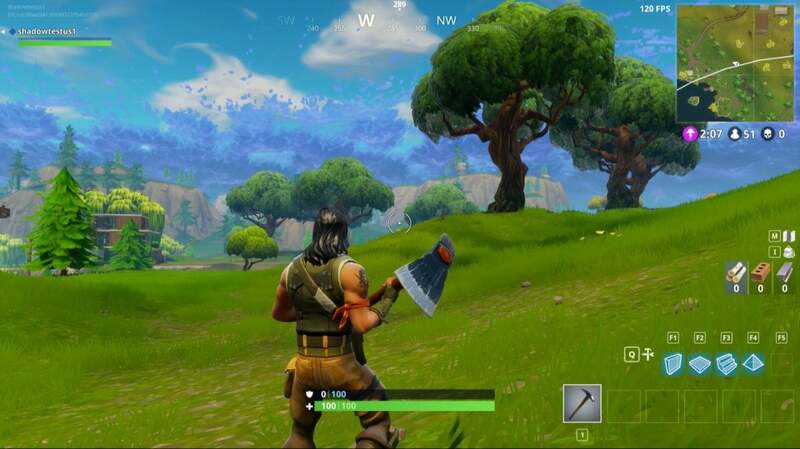 Fortnite generally was playable and looked fantastic, though I always wondered if dying could be chalked up to the Shadow service or just my lack of skill. Throughout the process, the Shadow service felt like a work in progress, rather than the more polished product that I understood had been released in France. An Xbox 360 controller that I connected via a USB cable failed to work one day, but it did the next—and subsequently thereafter. I never found the setting to route the Shadow audio through my tablet’s headphone jack. I routinely needed to reboot the Shadow’s Windows environment just to see my mouse cursor. I never really expected that the Blade Shadow service would work wirelessly—though you can remotely stream Xbox games over the local Wi-Fi with moderate success. And as I was writing this, I logged in to the service to check a fact or two—and found that my generic USB mouse locked up and was unable to move unless I placed the Shadow service within a window. In each of these cases, Shadow recommends that you either remove and re-insert the peripheral in question, or else reboot the Shadow virtual machine. But I felt too often that I was fighting with the service, rather than with virtual enemies. Dialing up the draw distance with a high-performance GPU can pay off, as this splash screen notes. I bought into OnLive’s service eight years ago, and I’ve always been supportive of a cloud-gaming option to avoid upgrading a gaming PC every year or so. Fundamentally, Blade’s Shadow service works, but with too many rough edges to endorse just yet. For me, Shadow is a service to keep tabs on, and watch how it evolves. Correction: A previous version of this story incorrectly referenced the wrong GeForce Now service from Nvidia. If, like us, you're confused, we spell out the differences in the GeForce Now services, here.